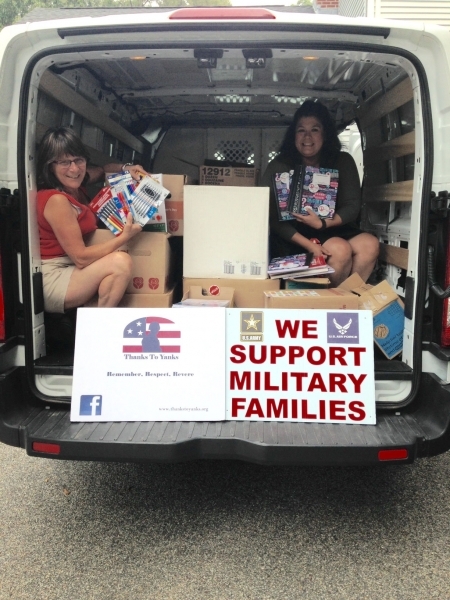 Thanks to customers at the Dollar Tree Stores in Milford, Medway and Bellingham, MA, Thanks To Yanks was able to collect back to school items as part of Operation HomeFront’s Back-to-School Brigade. Military Friends Foundation will be distributing the school items to 300 military families and their children. Donnalee Shain of Thanks To Yanks and Sarah Sweeney of Military Friends Foundation are pictured in the photo.